Last winter, I visited Steam Bell Beer Works in Chesterfield and spoke to head brewer and founder Brad Cooper about Steam Bell’s unique lineup of beers, and their desire to expand. Although the kind of expansion Cooper mentioned to me was one meant to increase the amount of beer that the brewery could produce in Chesterfield, the expansion currently being planned is of a different sort. Speaking to Brad and his sister/business partner Brittany Cooper recently, I learned that Steam Bell is branching out of Chesterfield and into the fan district of Richmond. Blackwood Development has been restoring the future brewery, Canon & Draw Brewing Company, site since 2011, a building near Baja Bean, Foo Dog, and Bellytimber, putting the new brewery right in the middle of what is a strip of already popular weekend drinking spots. The Coopers pointed out that there are no breweries that are actually in the Fan, and this spot will provide a walkable option for students and families in the area that want fresh craft beer. 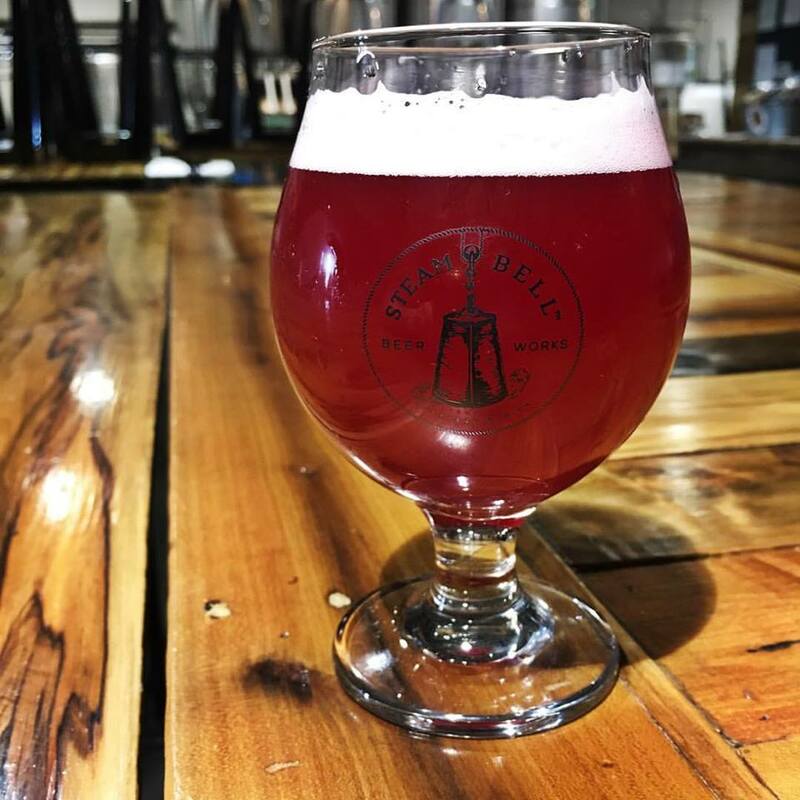 While Steam Bell’s Chesterfield location tends to produce farmhouse ales and malty beers like the Brindled Brown, the fan location will focus more on hop-forward beers and lagers, as the brewery hopes to meet more craft drinkers in the fan. This fan location will feature a completely different beer portfolio, as it’s intended to be hyper-local, a location built for the neighborhood; the Chesterfield location is meant to suit the tastes of that area’s beer drinkers. On-site consumption will be another emphasis of Steam Bell’s new spot, as the production space will be smaller at seven barrels (as opposed to the Chesterfield location’s ten barrel system), while the taproom will be bigger at 4,000 square feet. Live music and food trucks are parts of what makes Steam Bell a unique place in Chesterfield; the fan location is hoping to keep something similar going. 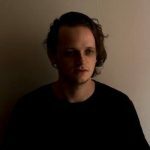 Artists that have played Steam Bell in the past should show up at the fan location, along with new musical acts, and while food trucks wouldn’t exactly be a practical option for the fan location, the brewery is in talks with local restaurants about providing some food options. Steam Bell’s new location is set to open late summer or early fall 2017. In early July, possibly as soon as the first of the month, Portsmouth’s first brewery will open: Legend Brewing Depot. 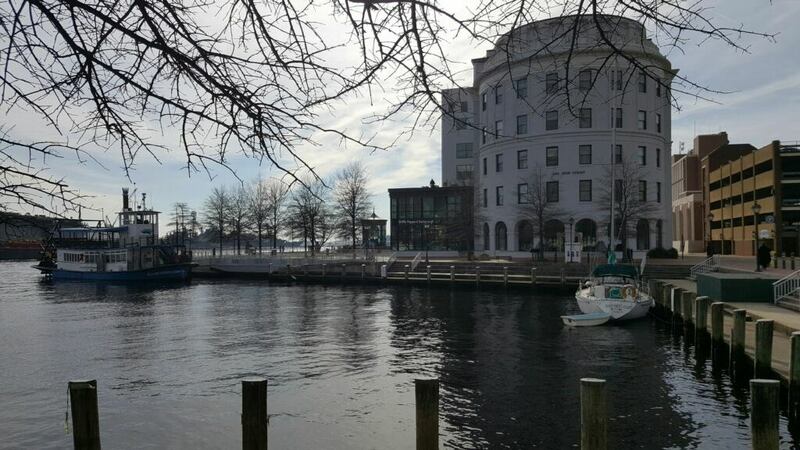 Located on the south landing of the Waterside to Portsmouth taxi at One High Street, Legend’s new location will feature not only a great view of the Elizabeth River, but a full-service kitchen as well. The menu will feature pub fare similar to that of the Richmond location’s restaurant, with the addition of more seafood dishes, as befits a restaurant so close to the ocean. As for the beer, the brewery will be employing a small three barrel brewing system, which will be used to make beer exclusive to the depot. According to Legend Vice President of Operations Dave Gott, an oyster stout and a kölsch are among the planned Portsmouth brews, two styles that should go well with everyone’s favorite bivalve and other seafood. Due to the small size of the brewing system, the company decided not to hire a dedicated head brewer for the new location. Legend Richmond’s head brewer John Wampler will head up the brewing operation, and will be joined Smitty Jacocks and PJ Seay, also of Legend’s Richmond location. While the brewery is still several months away from being open, Gott says Portsmouth locals are already excited. Who knows — maybe Legend’s Portsmouth location will be as groundbreaking as the Richmond one, and inspire more breweries to open in the area. 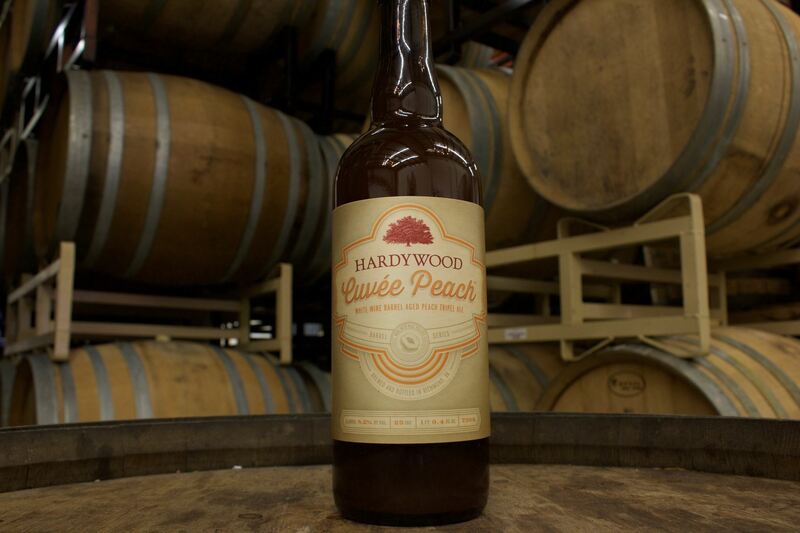 Hardywood has an exciting summer full of new releases ahead. In June, the brewery will release three new beers: a rye whiskey barrel-aged barleywine, a banana cream ale and an Irish chocolate stout. 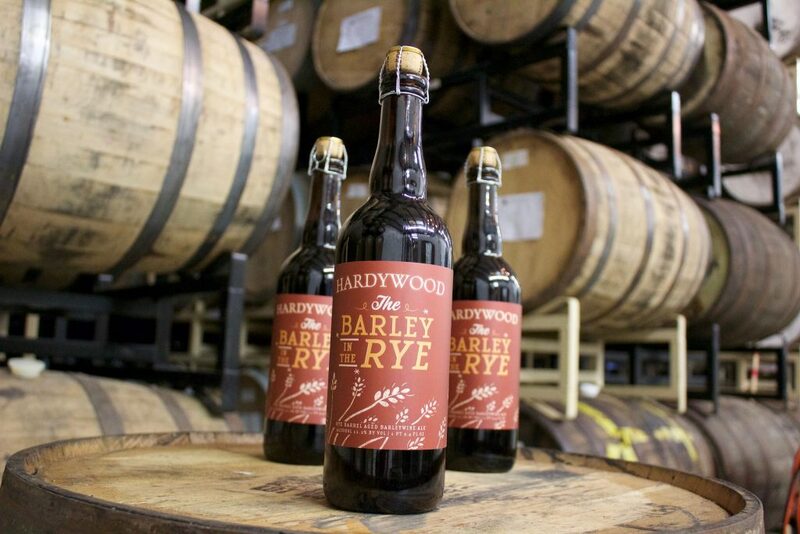 Barley in the Rye is Hardywood’s Barleywine aged in rye whiskey barrels for 18 months, adding plenty of spicy rye and hearty barrel character to the already formidable beer. The banana cream ale and Irish chocolate stout are collaborations with Florida brewery Funky Buddha, and while both beers will be great apart from one another, the breweries encourage mixing the two to create a chocolate-covered banana black and tan. June ninth sees the release of Andrea’s Ale and Bob’s Brew, Hardywood’s contributions to the Ales for ALS project. The two beers were inspired by two personal connections to the fight against ALS, for whom the beers are named. The following day, the brewery will put out another collaboration, this time with New Belgium: Savor X, a baltic porter brewed with cacao husks. The name comes from the fact that Hardywood was selected to brew the commemorative beer for the tenth annual Savor: An American Craft Beer and Food Experience in DC. A variant with coffee and coconut, Baltic Sunrise, will also appear on the tenth. On July 7th, Hardywood will put out a new twist on their Berliner Weisse, one dry-hopped with Mosaic hops, with passionfruit added. The light, tart wheat beer should benefit from the exotic aroma added by the Mosaic hops, and the sour, tropical flavor of passionfruit. July 29th is the debut of Cuvée Gold, a blend of multiple vintages of Vinalia Urbana, Hardywood’s Sauvignon Blanc barrel-aged Belgian-style golden ale. The resulting beer should be rich and complex, perfect for savoring on a late summer day.